You won’t find as many islands in Turkey as you would if you were to visit Greece or Croatia; but with what islands there are – certainly there you will find beautiful turquoise waters (just like you see in the photos). These scenes do not need to be ‘photoshopped’ to look impressive as it truly is that way. Take for instance the Gulf of Fethiye. Located in the Mediterranean sea of Turkey, each year there are a plethora of boats in all shapes and sizes seen in the waters. 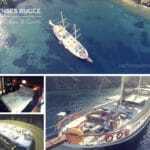 From the mega yachts to the unique and traditional gulets. 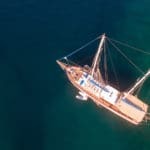 Actually you may find that you will see more gulet charters on blue cruises than any other type of charter boat type out there. 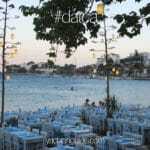 Gocek is the place to start and probably the most ideal for traveling distance from the airport (20 minutes). You can visit places like the Gocek islands, also known as the Yassica Islands. There is an endless count (not literally of course) of private bays, cozy little hidden coves, caves and spectacular surrounding and conditions for snorkeling and scuba diving – along with various other types of water sports. 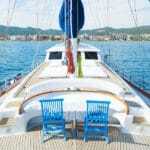 So why not explore private gulet cruises in the incredibly breathtaking Turkish islands. It’s a holiday worth trying at least once in your lifetime and really great for families and groups of friends. These cruises are available from April right until the end of October.